Model no.SH72344 will become available to our customers at our e-shops starting 25 November 2017. Special Hobby are happy to be able to bring the modeller yet another New Generation kit produced using steel moulding tools with still increasing levels of quality surpassing that of our recent Mirage F.1 family models. This new arrival to your collection is the 1/72 scale replica of the CASA C-212 twin engined multipurpose cargo aircraft of Spanish origin. 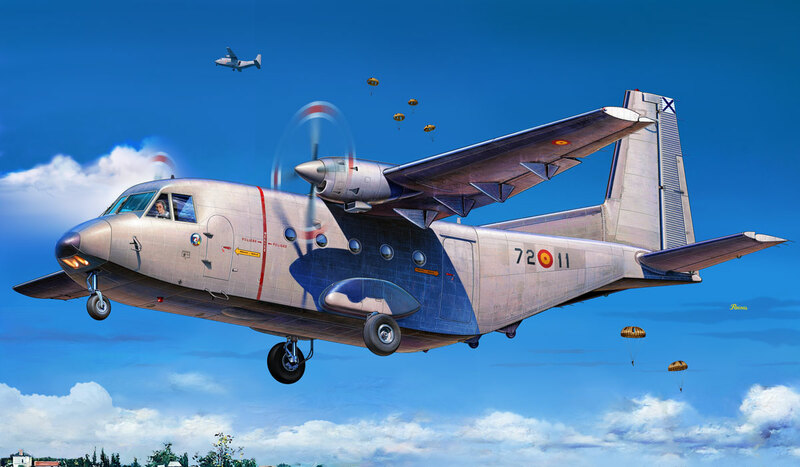 Late 2017 will see the release of two different CASA C-212 boxings, the first of which is to hit the hobby shop shelves by the end of November and will feature the CASA C-212-100 version (SH72344). 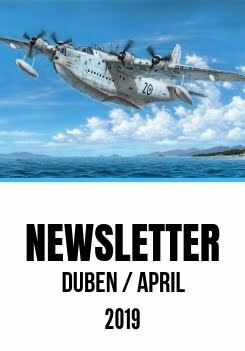 The second Casa to be released will be an extremely interesting limited kit depicting a duo of Portuguese anniversary paint scheme airframes, CASA C-212-100 ‘Tail Art’ which is due for pre-Christmas release. The CASA C-212 model kit comes on as many as five grey styrene sprues and two sprues with clear parts. Kit SH72344 caters for three decal options which offer the following: an all-grey Spanish Air Force machine, a Chilean Army machine wearing a four-tone scheme and a Colombia Navy Casa in a scheme of two shades of grey. The limited release ‘Tail Art’ kit (SH72376, styrene parts identical to that of SH72344) with very unique paintings on the tails of the both offered machines will benefit from a huge sheet of decals skilfully printed by Italian Cartograf and will no doubt built into a very special replica and a true gem of every modellers’s showcase. There are many more C-212 versions to come over the next couple of years, as the CASA no doubt is a very attractive-looking aeroplane offering a real plethora of various options and versions. In the late 1960s, the Spanish Air Force, or Ejército del Aire, was seeking a new transport aircraft type which was to replace outdated transport types that had been used so far. Spanish company CASA (Construcciones Aeronáuticas SA) proposed a twin-engined, turboprop-powered, high-wing, non-retractable undercarriage cargo aircraft with STOL capabilities. The project known as the CASA C-212 Aviocar was eventually accepted and a pair of prototype machines took off for the first time in 1971. The Spanish Military assessed the suitability of the C-212 while using a small pre-production batch of eight aircraft. The type received military designation the T.12. Large scale production was commenced based on huge number of orders from almost all around the world and the type was also licence-built in Indonesia. Several consequent versions were also designed and built, differing by the type of engines used, elongated front fuselage section, larger tailplanes or added winglets.The original C-212-100 was equipped with TPE331-5-251C engines, the follow-up subversions were the C-212-200 with more powerful TPE331-10-501C power units, the C-212-300 with longer nose, winglets and fitted with even more powerful TPE331-10R-513C units and different style of propellers. Since 1998, the C-212-400 has been produced, having TPE331-12JR-701C powerplants, modernised avionic systems and increased payload. The great number of customers and the wide variety of their requirements was the story behind why so many versions have been in production so far, which differ not only by the powerplants as described above, but more visibly by having many different styles of side fuselage sections and entrance doors. The Ejército del Aire alone, besides the pre-production batch T-12B airframes which would be later converted for photo-reconnaissance missions and known as the TR-12A, saw service of several other C-212 versions, ranging from the VIP transport type C-212 AV/T.12C through to maritime patrol airframes with large radomes and /or sensors in the front fuselage and on top of the tail fin (T.12D). It is obvious that the C-212 has been in service throughout the world and over all continents and the number of all civil sector users seems to be undefinite. In North America, the C-212 was used with the military of the United States (as the C-41 type), in Central and South America, air forces of Mexico, Panama, Chile, Ecuador, Colombia and Argentina. The Casa is also flying still in Europa, with air forces of Sweden, Spain, Portugal, France and Malta. In Africa, the Casa can be seen from the very north down to the southernmost territories, the users were or still are for instance Chad, South Africa, Botswana, Zimbabwe and others. Down under, the Australian Army use their C-212s in training of the Red Beret Parachute Display Team, and the Australian Department of the Enviroment use their C-212s as a part of the Australian Antarctic Division over Antarctica. In Asia, the type is operated of course by Indonesia, but among other users there might be mentioned also Thailand, Vietnam or the Philippines.